Srinagar: In a move that will help ease supply of goods to and from Kashmir, construction of a dedicated air cargo terminal at Srinagar Airport has kick-started recently. 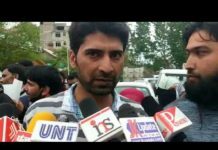 The cargo terminal is being constructed in view of the great demand for supply of goods to and from Kashmir, Akash Deep Mathur, the director of Srinagar Airport said. “The general cargo terminal under Common User Domestic Cargo Terminal (CUDCT) is a project to be undertaken by Airports Authority of India. We have awarded the project to a contractor after proper tendering and the terminal building is expected to be ready in next 15 months,” Mathur said. After land identification and demarking for the CUDCT was conducted last year at the Srinagar Airport, its construction has started now, he added. Construction of cargo terminal will also provide boost to exports of commodities and perishables from the valley. “The general cargo terminal project is expected to be carried out at a cost of more than Rs 5 crore. We hope that the external factors are favourable for us to witness the completion of cargo terminal on time,” Mathur said. The work on the general cargo terminal is proposed to be undertaken for next 15 months till July 2020. “Currently approximately 25 meteric tonnes of cargo is processed from Srinagar on a daily basis. A positive growth is seen in the cargo operations and the new terminal buildings will be able to handle the expected doubling of tonnage in next one decade,” Mathur said. Mathur said the general cargo terminal will have latest and state-of-the-art facilities. “Facilities such as a truck dock area, acceptance, delivery, storage and a holding area are also part of this project,” Mathur said. A dedicated space for offices for airlines and AAI will also be kept at the CUDCT. Construction work on the cargo terminal has come at a time when recently a freighter or a goods carrier aircraft owned by private airline SpiceJet arrived at the Srinagar Airport with 17 tonnes of cargo from Delhi. “The test run of SpiceXpress freighter will pave way for freighter business in J&K region,” said a recent tweet from AAI Cargo Logistics and Allied Services, a subsidiary of AAI. 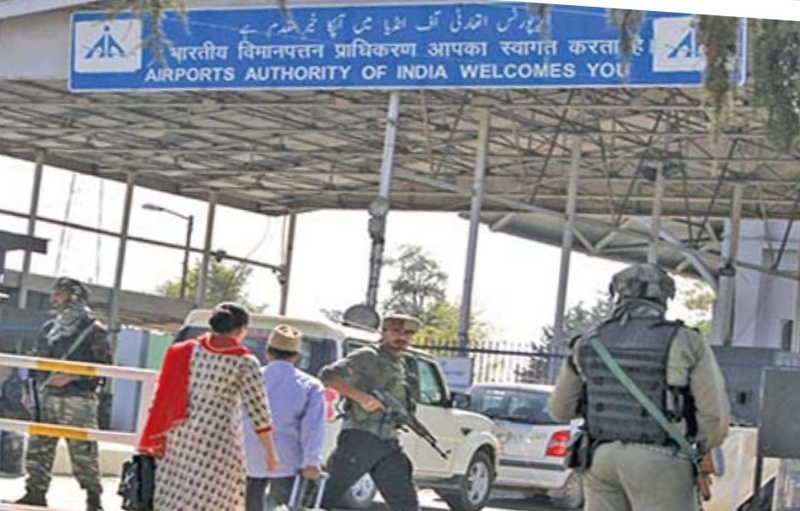 Srinagar airport is under direct operational control of the Indian Air Force (IAF), which controls its air traffic and landing strip and also the facilities of fire-fighting and crash activities, apart from the airspace. Srinagar is the busiest among the three airports in Jammu and Kashmir as the airport witnessed 22.8 lakh passengers footfalls during 2017, while number of passengers who travelled to or from the airport in 2018 was 26.9 lakhs. However, the ranking of Srinagar Airport for passenger services has been recently downgraded to 61st spot. According to the ratings conducted for 20 airports, in 2 million to 15 million passengers’ category, Srinagar airport received 4.68 points in 2018, compared to 4.78 in 2017. The 2018 ratings of airports were announced recently and the parameters which were assessed included ground transportation to/from airport, parking facilities, waiting-time, check-in, queues, efficiency of check-in staff, courtesy and helpfulness of check-in staff availability of toilets and others. The Srinagar airport has recorded slide in all 33 parameters reviewed by the ACI.